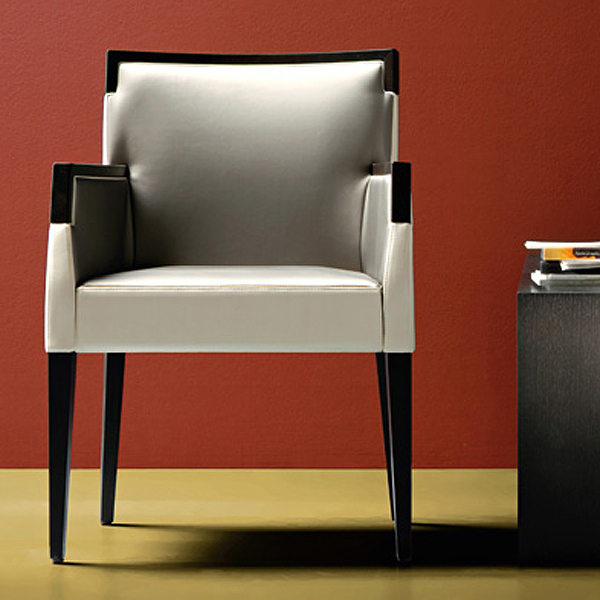 A sturdy armchair with a chunky, masculine design. 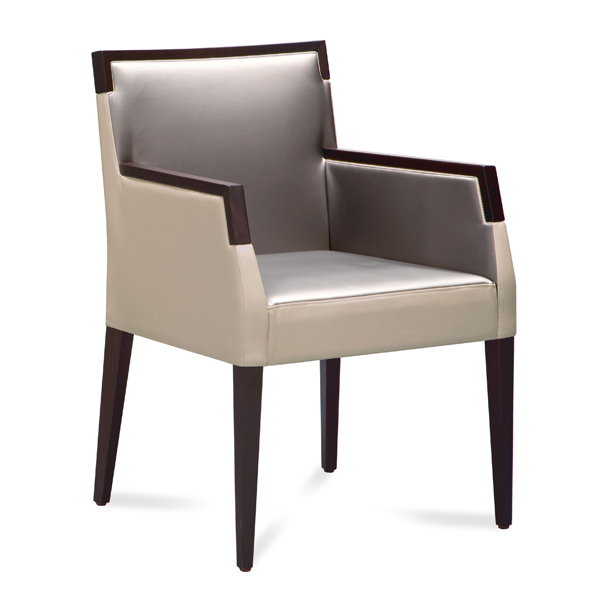 The solid beechwood frame has a dark wenge stain, the seat and back are generously padded and upholstered in a combination of taffy white and taffy gray leatherette (48% polyurethane, 31% cotton, 21% polyester). A version without arms is also available, see related products below.